Our family is making many memories at the Library & Music Hall. 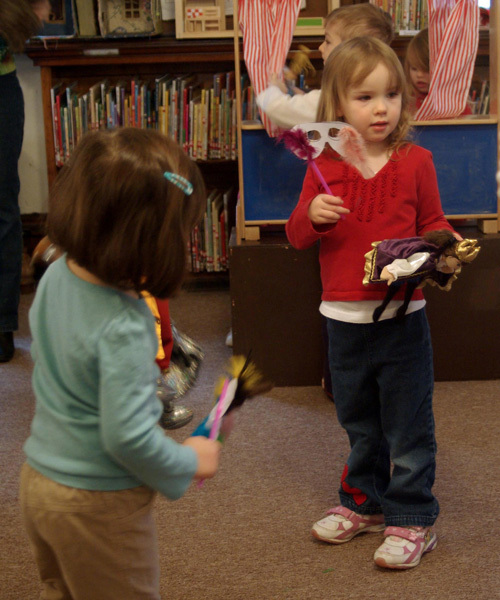 We’ve seen puppet shows, make craft – both neat and mess. We’ve watched plays and even sampled the opera, which was a unique experience for a nine-, seven- and three-year-old. My middle son and I have taken an art course together and had our work exhibit. My oldest takes me places on the world wide web that I would never have seen. My daughter and I look forward to story time with Miss Erin and our friends. Sometimes, with luck and planning, I can get to the Library alone. I love to walk through the selves and look for books, waiting for something to catch my eye. It doesn’t take long – maybe a classic, or maybe some “mind candy.” Amy, Katie or Erin can always be counted on to recommend a great pick. We love our Library & Music Hall. Here are the results of our latest community survey.